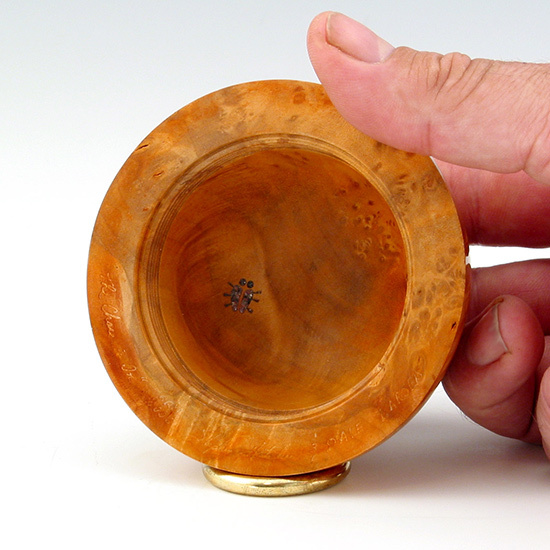 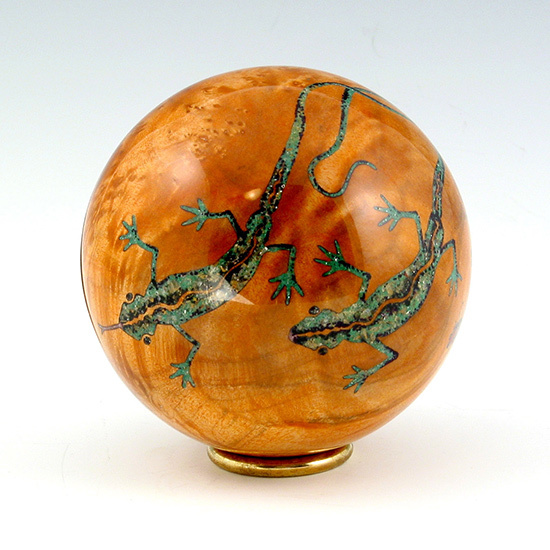 Description: A 3.5" diameter sphere-box with chased threads made from bigleaf maple by Dale Larson with lizards and beetles inlaid using mineral crystals by Stephen Hatcher. The finish is a light wash of yellow-maple stain with lacquer topcoat. 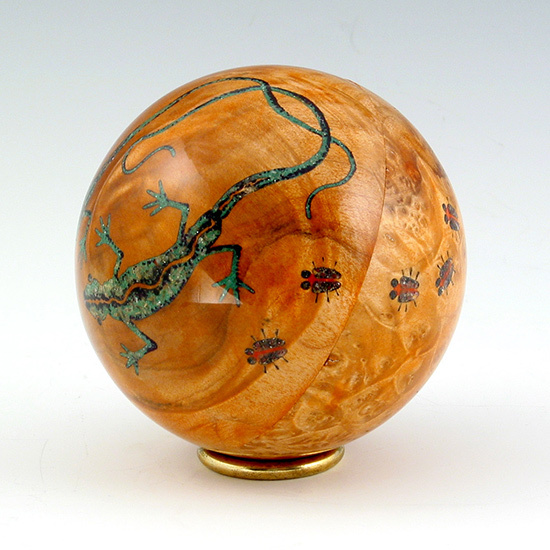 The title is a play on words for the thread chasing by Dale and the 'who's-chasing-who' design by Stephen. 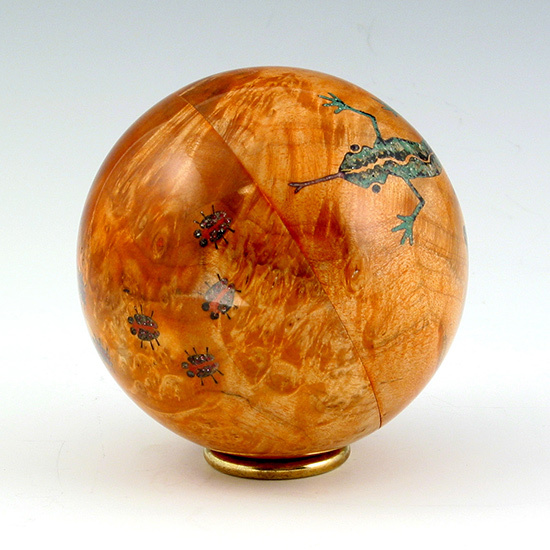 Comment: A collaboration between Dale and Stephen for the American Association of Woodturners 2006 Educational Opportunity Grant Auction.